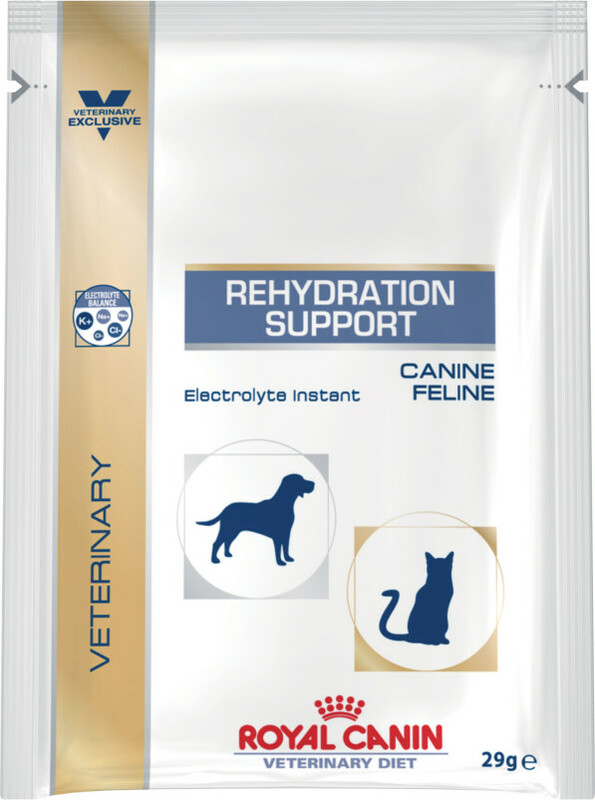 Rehydration Support (sachet) For dogs with electrolyte losses secondary to vomiting and/or diarrhoea, Post-surgery, Moderate dehydration. 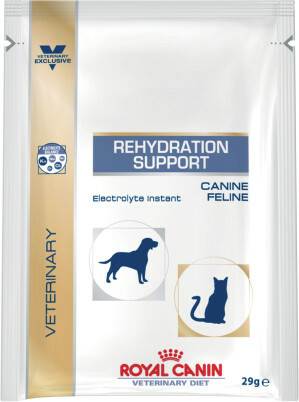 Formulated to replace lost fluids and electrolytes in dehydrated patients. Sodium and chloride content approximates losses and aims to restore normal electrolyte balance. Maltodextrin, potassium, chloride, sodium chloride, sodium citrate. Crude ash: 4.5%. Moisture: 4%. Protein: 5%.